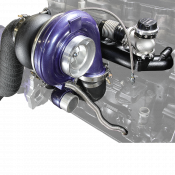 ATS manufactures the innovative diesel truck performance products that help increase power and efficiency for towing, off-road, recreation, or racing. 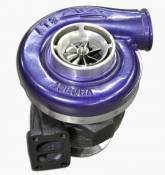 ATS has products for GM Duramax, Dodge Cummins, and Ford Power Stroke diesel trucks. 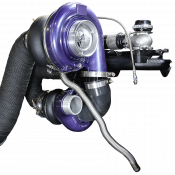 ATS exhaust manifolds for 1994-1998 Dodge trucks can handle higher temperatures, more heat cycles and help the turbo spool faster. They are all conveniently tapped for an EGT probe – so no drilling or tapping is required. ATS's stand-alone automatic transmissions are the bare transmission only - ready for the torque converter of your choosing should you decide to go with something other than what is in the offered ATS transmission packages. 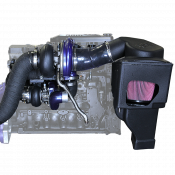 ATS Automatic Transmission Packages for your early 2004 Dodge 5.9L with 48RE offer Stage 1 to Stage 6 options. ATS Automatic Transmission Packages for your early 2006 Dodge 5.9L with 48RE offer Stage 1 to Stage 6 options. ATS Automatic Transmission Packages for your Late 2004-2005 Dodge 5.9L with 48RE offer Stage 1 to Stage 6 options. ATS Automatic Transmission Packages for your late 2006 - 2007 Dodge 5.9L with 48RE offer Stage 1 to Stage 6 options. ATS Automatic Transmission Packages for your 2007.5 and up Dodge 6.7L with 68RFE offering Stage 1 to Stage 4 options. 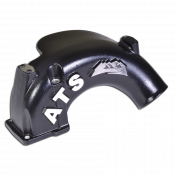 ATS Automatic Transmission Packages for your 1990 - 1993 Dodge 5.9L 12V with 618 automatic - offering Stage 1 and Stage 2 options. 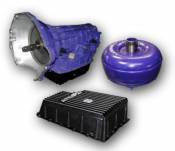 ATS Automatic Transmission Packages for your 1994 - 1995 Dodge 5.9L 12V with 47RH offering Stage 1 to Stage 5 options. ATS Automatic Transmission Packages for your 1996 - Early 1998 Dodge 5.9L 12V with 47RE offering Stage 1 to Stage 6 options. 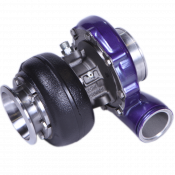 ATS Automatic Transmission Packages for your Late 1998 - Early 1999 Dodge 5.9L with 47RE offering Stage 1 to Stage 6 options. ATS Automatic Transmission Packages for your Late 1999 - 2002 Dodge 5.9L with 47RE offering Stage 1 to Stage 6 options. 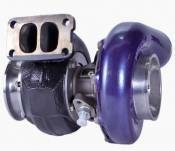 Automatic Transmission Accessories for 1998 - 2003 Ford 7.3L Power Stroke. Automatic Transmission Accessories for 2007 - 2012 Dodge 6.7L Cummins including deep-sump transmission pans, flex plates and transmission coolers. Description: 2006 - 2007 GM LCT-1000 6-Speed Built to handle street/strip, sled-pulling, 1000rwhp + AND can still be daily driven. Description: 2006 - 2010 GM LCT-1000 5-Speed Increased towing capability - power holding up to 600hp - mild street/strip and sled-pulling use. Description: 2006 - 2010 GM LCT-1000 6-Speed Increased towing capability - power holding up to 800hp - mild street/strip and sled-pulling use. Description: 2006 - 2010 GM LCT-1000 6-Speed Built to handle street/strip, sled-pulling, up to 1000rwhp AND can still be daily driven. Description: Late 2007 - 2010 GM LCT-1000 6-Speed Built to handle street/strip, sled-pulling, 1000rwhp + AND can still be daily driven. Description: 1994 - 1995 Dodge with 47RH Optimized for racing performance. Description: 1994 - 1995 Dodge with 47RH Optimized or towing performance. 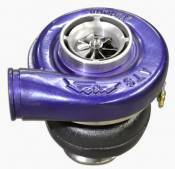 Description: 2003 - 2004 Dodge 48RE W/ TV Cable Optimized for racing performance. Description: 2004.5 - 2007 Dodge with 48RE W/TV Motor Optimized or racing performance. Description: 2003 - 2004 Dodge 48RE W/ TV Cable Optimized for towing performance. Description: 2004.5 - 2007 Dodge with 48RE W/TV Motor Optimized for towing performance. Description: 1999 - 2003 Ford 4R100 Controls shift firmness & increases oil delivery to transmission.